As if divorce wasn’t hard enough. Let’s throw taxes into the mix and make it like lemon juice on the wounds. The last thing divorce couples want to ever think about is money; except oftentimes that issue of money becomes the primary agenda. Why? Divorce is a divide — not just of family, kids, and even a lifestyle, but of income. And when you think about income, you think of taxes. Divorce can screw it up! One of You Can Just Buy the Home Outright — But that means the other won’t have any rights to it anymore! Don’t panic…. There are good divorce tax reasons for doing this. Click here and find out. What About Selling the House Together? — Don’t fight. We know it’s hard if you’re already getting divorced, and you don’t want to have to share profits…. But it might benefit your taxes in the long run. Check here to find out. Just Let the Kids Grow Up and Move Out First — What’s wrong with one of you moving out on your own and letting the kids stay in the home? Nothing. Just keep this little piece of advice handy if you go this route. Sucking It Up and Living in the Home Together — Before you kill us on this divorce tax tip, read this and it might make some more sense to you. What You Can Do With Your Rental Properties — We just made it even more complicated, but follow this specific divorce tax tip, and you shouldn’t worry much. What You Can Do With Your Vacation Home — You have a vacation home, too? Hoboy…. 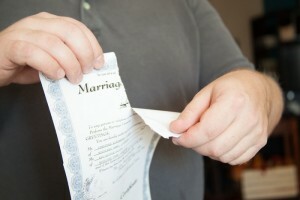 Thankfully, this divorce tax tip can streamline the process as well. How About Alimony (Spousal Support)? — Not a problem. Check out this article and see what can happen to your taxes on either side. A lot of these might apply to you. Some won’t. Whatever the case, be in the know. Consult. And then apply. That should make divorce when it comes to your taxes like showers and shampoo. Of Course, Who Do You Consult on All This? The Income Tax Planning Network, of course! Sign up right now. Get started. Your divorce shouldn’t be the end. We can help make a good portion of it a beginning where you’ll get off on the right foot (even if the divorce was definitely the wrong one! ).